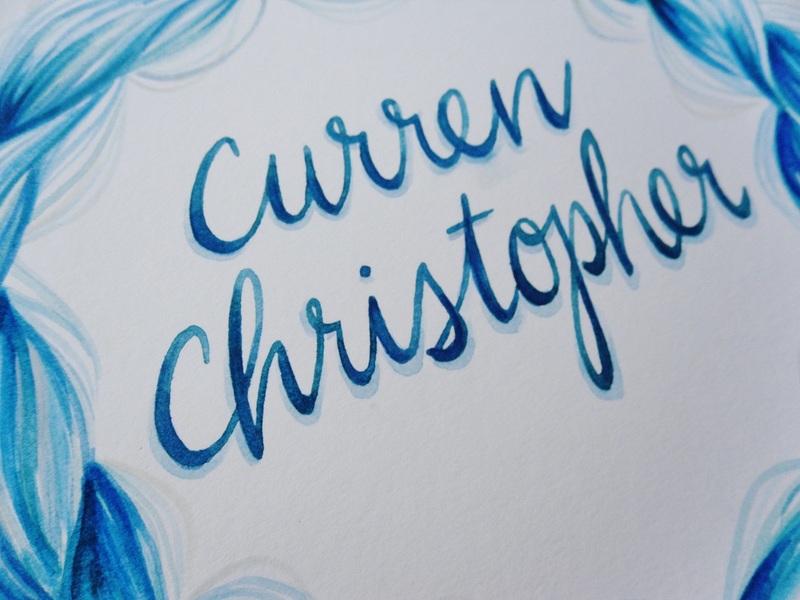 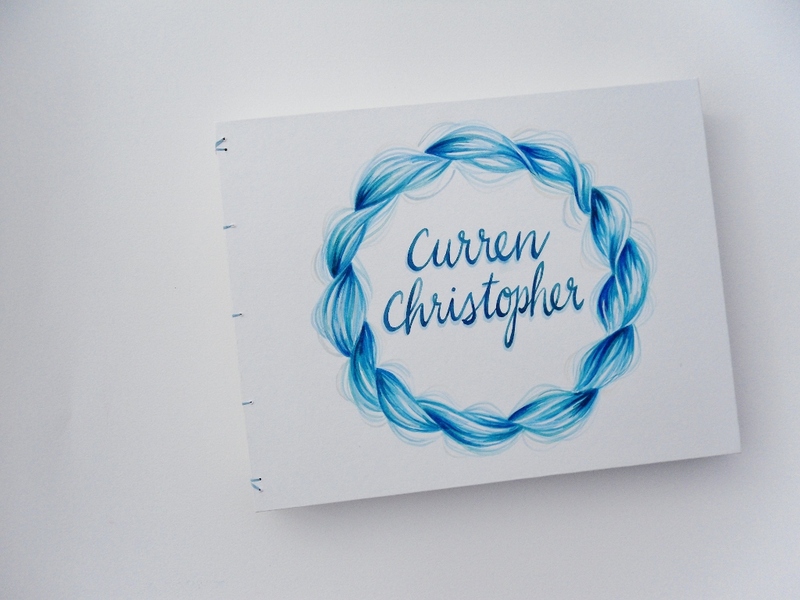 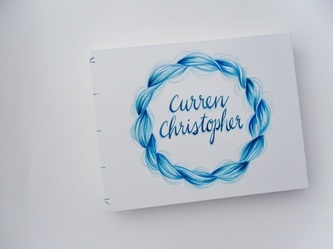 Curren Christopher's photo album was commissioned by a friend who needed a special place to keep the photos of her first son. 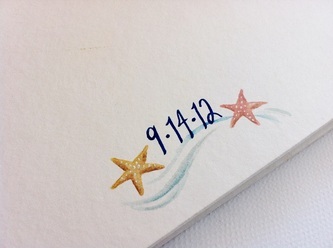 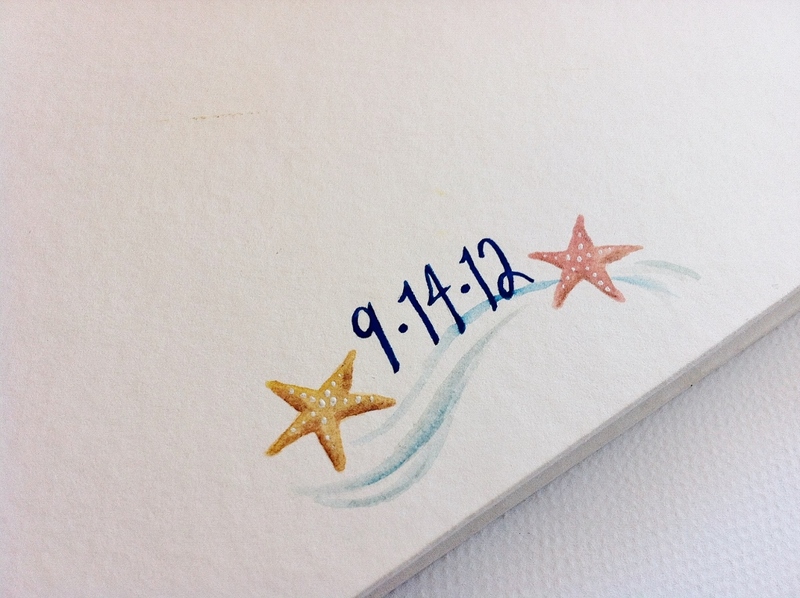 We went with a clean nautical theme, with small ocean creature illustrations scattered throughout the inside of the book. 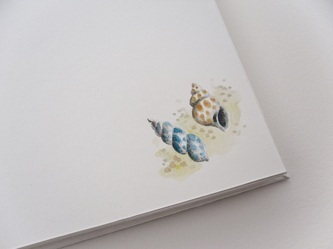 The album is covered in watercolor paper, and filled with it as well. 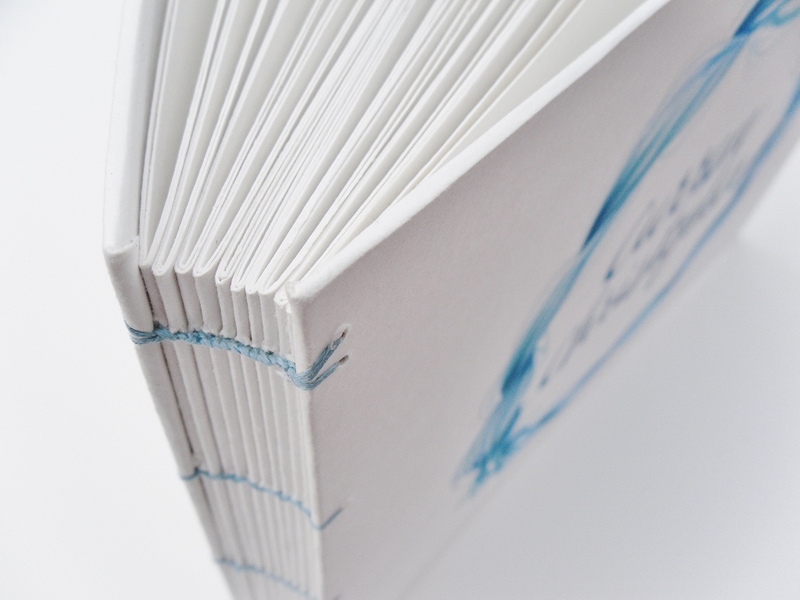 It was bound with a coptic stitch and illustrated by hand.